Yours truly attended the launching of another new Korean beauty skincare brand - Cremorlab - that is now officially available at Muse by Watsons. Cremorlab is nature's gift of science. Rich in minerals, including a high concentration of vanadium and germanium. T.E.N (Thermal water therapy, Eco energy and Natural nourishment) gives clear translucent skin and enhances firmness. The name Cremorlab represents a golden ration between nature & science. The launching was started with a welcome speech by the Brand Manager of Muse by Watsons, Amanda Gan. She also presented us a much detail information about Cremorlab. Cremorlab already have a few products on the market for quite some time in Korea before they are available in Malaysia. 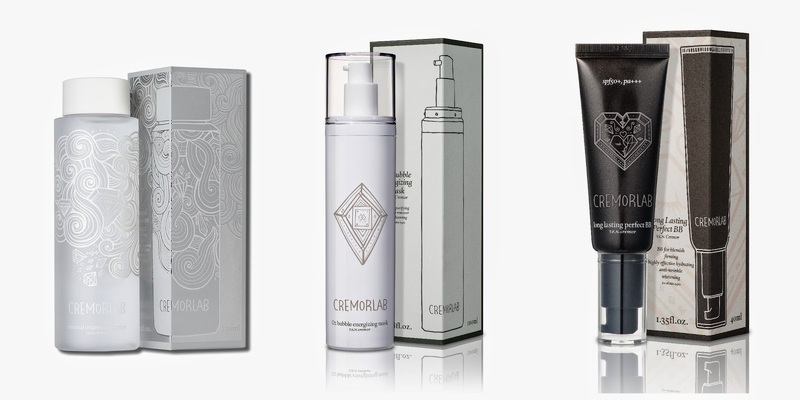 Here's the latest products by Cremorlab which going to works wonder on your skin! We were also lucky to have skin specialist, Dr Koh to share about the importance of hydration on that day too. Not only learn about the importance of having sufficient water in our body and skin, we also learn about foods that moisturize skin such as Omega-3s (salmon, seed and walnuts) and berries. We also had a mini chat session with Dr Koh on that day and get to know more about our skin condition. Skin analysis always kind of a nightmare to me. I always nervous about getting to know my own skin condition, especially when I have major breakouts during the time of the month. Just so you know that I have a super sensitive skin not only during the time of the month, but also when I consume nuts and chocolates. .·´¯`(>▂<)´¯`·. It turned out good, knowing my skin is now super dry and sensitive instead of oily combination gave me a huge relief. The result for pore condition was unexpectedly good! Well, at least now I know I need to work on moisturize my skin and get the optimum hydration level for my skin in order to get healthier skin and get back the radiant glow of my skin.